Ready. Set. Swish. 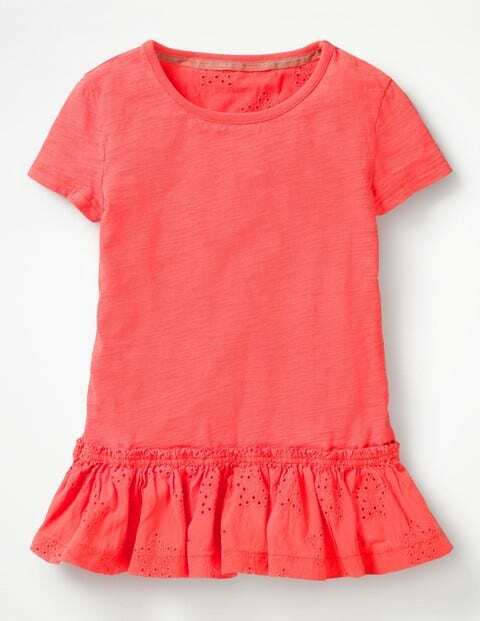 We’ve added a ruffled broderie hem to this casual tee to make twirling approximately 200 times faster. In pure cotton, it’s lightweight and extra soft against delicate skin. Catch this Mini if you can.